For the first time, physicists from the U.S. Department of Energy’s (DOE) Argonne National Laboratory and their collaborators, led by a team from the U.S. Army Research Laboratory, demonstrated a long-theorized nuclear effect. This advance tests theoretical models that describe how nuclear and atomic realms interact and may also provide new insights into how star elements are created. Physicists first predicted the effect, called nuclear excitation by electron capture (NEEC), over 40 years ago. But scientists had not seen it until now. 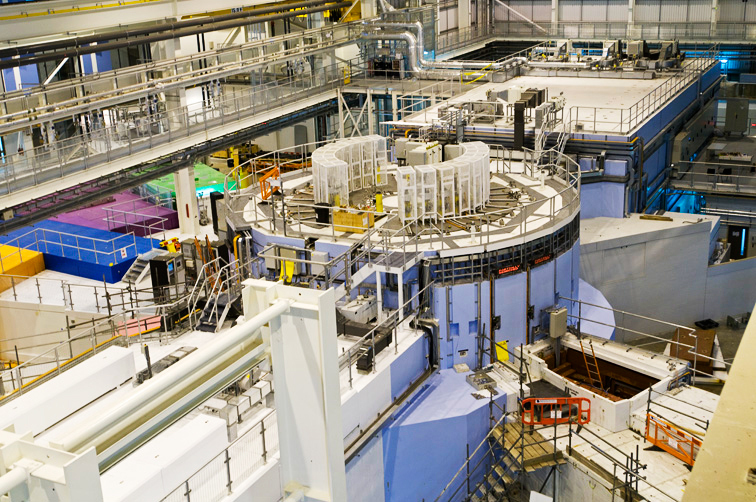 Using the Argonne Tandem Linac Accelerator System (ATLAS), and Gammasphere, a powerful gamma ray spectrometer, the researchers created the right conditions to cause and spot the behavior. The NEEC effect occurs when a charged atom captures an electron, giving the atom’s nucleus enough energy to jump to a higher excited state. An excited nucleus stays in each energy state for a while before decaying into the state below it, shedding energy in the form of gamma rays. These excited states typically last for much less than a billionth of a second, but in some rare cases, they can live far longer, even for millions of times the age of the universe. The longer-lived energy states are called isomers, and to observe the NEEC effect, the researchers produced an isomer with a half-life of about seven hours. In other words, after seven hours of existing in the isomeric energy level, about half of the nuclei of this type will decay. To make 93Mo, the researchers used ATLAS, a DOE Office of Science User Facility, to accelerate a beam of ions towards the atoms in a target foil where the nuclei of the two fused together. These reactions formed 93Mo in a highly excited state at the center of Gammasphere, which waited to detect evidence of the effect in the form of gamma rays. As the 93Mo atoms move through the target material, they bump into atoms that slow them down and strip them of electrons, putting them in a high-charge state. Electrons from the target atoms then fill those vacancies in the 93Mo, and if the electrons have the right energy before the capture, they may excite the nucleus into the next highest state. When this state decays, the nucleus releases a gamma ray that can be traced back to the NEEC reaction. The target, made by ATLAS’s in-house target maker, John Greene, played a crucial role in the detection of NEEC. Greene was able to work on the fly, tweaking the target as the scientists learned more about the 93Mo nucleus. With everything in place, the team began to gather data. The power and sensitivity of Gammasphere was vital to the experiment’s success. “We made use of a new digital Gammasphere mode, which allowed us to run at a rate about five times higher than would have been possible with the older analog system,” said Chiara. But it was not only the hardware at ATLAS that was important. “As experts in the field of gamma-ray spectroscopy, the Argonne staff provided invaluable scientific and technical support,” he added. The team’s success may lead to advances in astronomy and cosmology as it could improve the accuracy of models scientists use to gauge how stars form. The quantities of elements in a star depend largely on the structure and behavior of nuclei. Over long periods, and with vast numbers of atoms interacting, the survival — or destruction — of specific isomers can have a cumulative influence. Taking the NEEC effect into account could improve our understanding of what stars are made of and how they evolve. Scientists at the Army Research Laboratory are also interested in possible future applications for the controlled release of nuclear energy from isomers via the NEEC effect. If scientists and engineers could harness this energy, it might help develop power sources with 100,000 times greater energy per unit mass than chemical batteries. The results of the experiment were published in a paper titled Isomer depletion as experimental evidence of nuclear excitation by electron capture, on February 8 in Nature. Other Argonne co-authors include physicists Robert Janssens (now at the University of North Carolina at Chapel Hill/Triangle Universities Nuclear Laboratory), Darek Seweryniak and Shaofei Zhu. The work was funded by DOE’s Office of Science, the U.S. Army Research Laboratory, the National Science Foundation, the Australian Research Council and the Polish National Science Centre. The U.S. Army Research Laboratory is part of the U.S. Army Research, Development and Engineering Command (RDECOM), which has the mission to provide innovative research, development and engineering to produce capabilities that provide decisive overmatch to the Army against the complexities of the current and future operating environments in support of the joint warfighter and the nation. RDECOM is a major subordinate command of the U.S. Army Materiel Command. In a new study Nature Communications, researchers from the U.S. Department of Energy’s (DOE) Argonne National Laboratory, Johns Hopkins University, Drexel University and several universities in South Korea used a new and counterintuitive approach to create a better catalyst that supports one of the reactions involved in splitting water into hydrogen and oxygen. Scientists plan to use the generated hydrogen as a clean fuel. “Finding a material that works well for energy conversion or storage is like creating a happy marriage.” – Nenad Markovic, Argonne materials scientist and study author. By first creating an alloy of two of the densest naturally occurring elements and then removing one, the scientists reshaped the remaining material’s structure so that it better balanced three factors important for chemical reactions: activity, stability and conductivity. Scientists searching for new catalysts have scoured the periodic table to find the right elements or combinations of elements to maximize a catalyst’s activity in water-splitting reactions, as well as the durability of the active sites on its surface. Finding materials that are both stable and active, however, has been a challenge. For the new catalyst, Markovic and his colleagues turned to iridium, a metal most commonly associated with meteorites. As a thin film, iridium is catalytically active, but as it reacts over time with an electrolyte environment, iridium atoms become oxidized. During this process, some of them leave the catalyst’s surface through corrosion, increasingly impairing its performance. The research team worked to prevent the oxidation by reorganizing the iridium’s structure. To help stabilize and activate iridium, they alloyed it with its neighbor on the periodic table, osmium. Unlike iridium, osmium is neither catalytically active nor stable, but it did offer a key benefit. After alloying the osmium and iridium together, the researchers then de-alloyed the two metals, leaving behind only a reconfigured structure of three-dimensional iridium nanopores. Markovic said each nanopore’s enhanced catalytic stability is due to the small volume of electrolyte within a pore becoming quickly saturated with iridium ions so that surface atoms stop dissolving, in much the same way that it is easier to saturate a teacup of water with sugar than a 10-gallon jug. While the nanopore’s structure addressed the need for a stable, active catalyst, it was another facet of the iridium’s reconfiguration that helped boost the material’s electron conductivity. Under operational conditions, the porous catalyst actually forms a unique shell of less-conductive iridium oxide around its highly conductive iridium metal interior. This way, electrons can move easily through most of the catalyst to reach the surface, where the water molecule waits on electrons to initiate the water-splitting reaction. Buildings of the future may come equipped with windows that can generate their own electricity, thanks to a finding of a team led by Jacqui Cole, a materials scientist from the University of Cambridge, UK, currently based at the U.S. Department of Energy’s (DOE) Argonne National Laboratory. To make the discovery, Cole — the 1851 Royal Commission 2014 Design Fellow — and her colleagues used neutron reflectometry to probe the function and interplay of the electrolyte ingredients with electrodes of the dye-sensitized solar cells. Neutron reflectometry, similar to X-ray reflectometry techniques, allows scientists to measure the structure of thin films with high resolution. But it was the fact that the tests were performed in a window-like system that made for a significant discovery. “Our work has shown that certain chemical ingredients, some of which have so far been overlooked, can clearly influence the photovoltaic performance of these solar cells,” Cole said. More efficient solar cells like these can move smart window technology closer to the marketplace, said Cole, adding that the science is almost there. Performance-wise, the cells recently broke a world record with a power conversion efficiency of 14.3 percent using a dye-sensitized electrode featuring two co-sensitized metal-free organic dyes. These dyes “promise cheaper, more environmentally friendly synthetic routes and greater molecular design flexibility than their metal-containing counterparts,” according to the paper. The discovery was made with colleagues from the University of Cambridge, United Kingdom, the Australian Nuclear Science and Technology Organization and the Rutherford Appleton Laboratory, UK. Researchers are continuing to apply this materials characterization technique to dye-sensitized solar cells, which could reveal further molecular secrets and lead the way to future energy applications. Researchers at the U.S. Department of Energy’s (DOE’s) Argonne National Laboratory have mapped out two very different types of protein. One helps soil bacteria digest carbon compounds; the other protects cells from the effects of harmful molecules. In order to uncover the structure of these proteins, researchers used a technique called protein crystallography. Like a mosquito trapped in amber, compounds that are crystallized are placed in array in identical positions and ordered so that scientists can target them with X-ray beams and work backwards from the scattering patterns produced to recreate their three-dimensional structures atom by atom. In the first study, a group of researchers from the Structural Biology Center, which is funded by DOE’s Office of Science, mapped out a protein responsible for breaking down organic compounds in soil bacteria, an important process for recycling carbon in the ecosystem. The bacteria used, called Acinetobacter, is located mostly in soil and water habitats, where it helps to change aromatic compounds (named for their ring shape) into forms that can be used as food. One of the sources of aromatic compounds found in soil is lignin, a tough polymer that is an essential part of all plants and that’s hard for many organisms to digest. “But Acinetobacter can utilize these aromatic compounds as their sole source of carbon,” said Andrzej Joachimiak, who co-authored both studies and is the director of the Structural Biology Center and the Midwest Center for Structural Genomics at Argonne. In order for Acinetobacter to break down the aromatic compounds, it needs to produce catabolic enzymes, molecular machines built from an organism’s DNA that break down molecules into smaller parts that can be digested. Whether or not membrane transporters and catabolic enzymes are produced falls to the HcaR regulator, a sort of molecular policeman that controls when the genes that code for these enzymes can be activated. Joachimiak and his colleagues found that the regulator works in a cycle, activating genes when aromatic compounds are present and shutting genes down when the compounds are used up. The research team didn’t stop at mapping out the regulator itself; to discover how the cycle worked, they crystalized the HcaR regulator during interactions with its two major inputs: the aromatic compounds and DNA. The group found that when aromatic compounds are not present in the cell, two wings found on either side of the HcaR regulator wrap around the DNA. This action is mirrored on both sides of the regulator, covering the DNA regulatory site and preventing genes from being activated. “This is something that has never been seen before,” Joachimiak said. When the aromatic compounds are present, however, they attach themselves to the HcaR regulator, making it so stiff that it can no longer grapple with the DNA. Joachimiak said that this knowledge could help outside of the lab, with applications such as a sensor for harmful pesticides and as a template for converting more carbon in soil. “If we can train bacteria to better degrade lignin and other polymers produced by plants during photosynthesis, more natural carbon sources can be utilized for example for production of biofuels and bioproducts,” Joachimiak said. The paper was published earlier this year by the Journal of Biological Chemistry under the title How Aromatic Compounds Block DNA Binding of HcaR Catabolite Regulator. It was supported by the National Institutes of Health and the U.S. Department of Energy (Office of Biological and Environmental Research). A second paper focuses on a family of proteins identified as DUF89, which stands for “domain unknown function.” This family is conserved across all three branches of the phylogenetic tree, which means that it is likely essential to many life forms. DUF89 has been identified as a type of enzyme called a phosphatase, which strips molecules of their phosphate groups. The paper’s authors hypothesized that DUF89 proteins use this ability to save useful proteins in a cell from rogue molecules which could alter their structure, making them useless or destructive. The study found that DUF89 proteins use a metal ion, probably manganese, to lure in potentially harmful molecules and a water molecule to break off their phosphate group. DUF89 proteins could have an important role in breaking down a specific type of disruptive molecule: sugar. When the concentration of sugar in blood reaches high levels, simple sugars can have unwanted side reactions with proteins and DNA through a process called glycation. “We always have to deal with these side reactions that happen in our cells, and when we get older, we have an accumulation of these errors in our cells,” Joachimiak said. 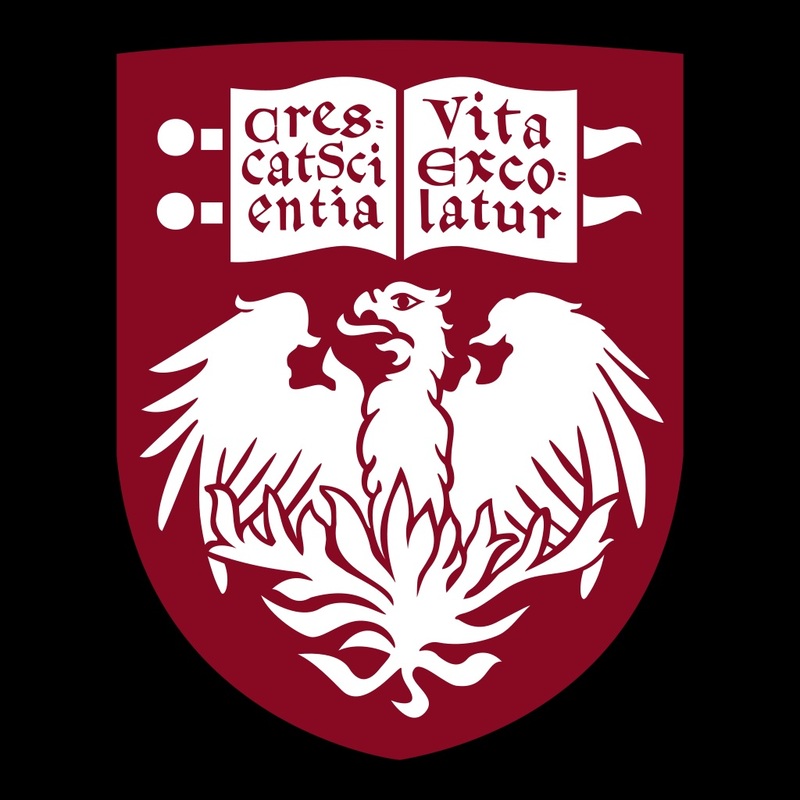 Joachimiak said that this research could help scientists develop DUF89 treatments from non-human sources as a way to combat glycation in the bloodstream. The paper was published on the Nature Chemical Biology website on June 20 under the title A family of metal-dependent phosphatases implicated in metabolite damage-control. Other authors on the paper were from the University of Florida, the University of Toronto, the University of California-Davis and Brookhaven National Laboratory. It was supported by the National Science Foundation, Genome Canada, the Ontario Genomics Institution, the Ontario Research Fund, the Natural Sciences and Engineering Research Council of Canada, the National Institutes of Health, the C.V. Griffin Sr. Foundation and the U.S. Department of Energy (Office of Basic Energy Sciences and Office of Biological and Environmental Research). Both studies used X-rays from the Advanced Photon Source, a DOE Office of Science User Facility, using beamlines 19-ID and 19-BM. 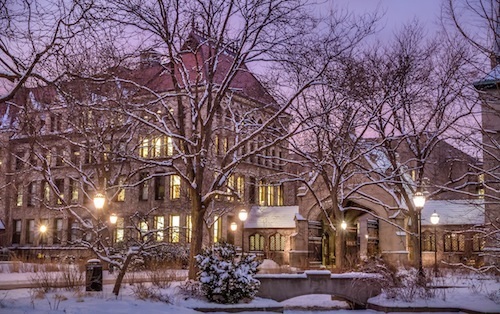 Both also stem from the goal of the Midwest Center for Structural Genomics, which is to discover the structure and function of proteins potentially important to biomedicine. Joachimiak said that despite the new findings from these studies, when it comes to understanding what proteins do, we still have a long way to go. “When we sequence genomes, we can predict proteins, but when we predict those sequences we can only say something about function for about half of them,” Joachimiak said. For people who enjoy amusement parks, one of the most thrilling sensations comes at the top of a roller coaster, in the split second between the end of the climb and the rush of the descent. Trying to take a picture at exactly the moment that the roller coaster reaches its zenith can be difficult because the drop happens so suddenly. For chemists trying to take pictures of energized molecules, the dilemma is precisely the same, if not trickier. When certain molecules are excited – like a roller coaster poised at the very top of its run – they often stay in their new state for only an instant before “falling” into a lower energy state. 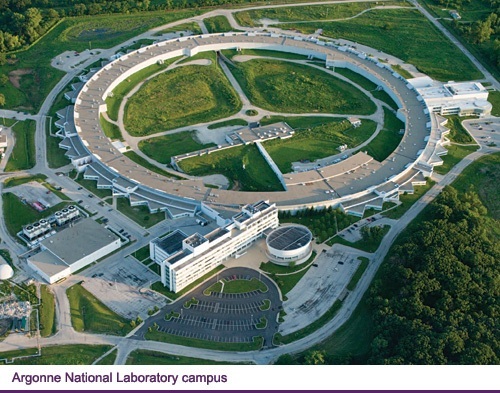 In a recent study, a team of researchers at the U.S. Department of Energy’s (DOE’s) Argonne National Laboratory, Northwestern University, the University of Washington and the Technical University of Denmark used the ultrafast high-intensity pulsed X-rays produced by the Linac Coherent Light Source (LCLS), a DOE Office of Science User Facility at SLAC National Accelerator Laboratory, to take molecular snapshots of these molecules. 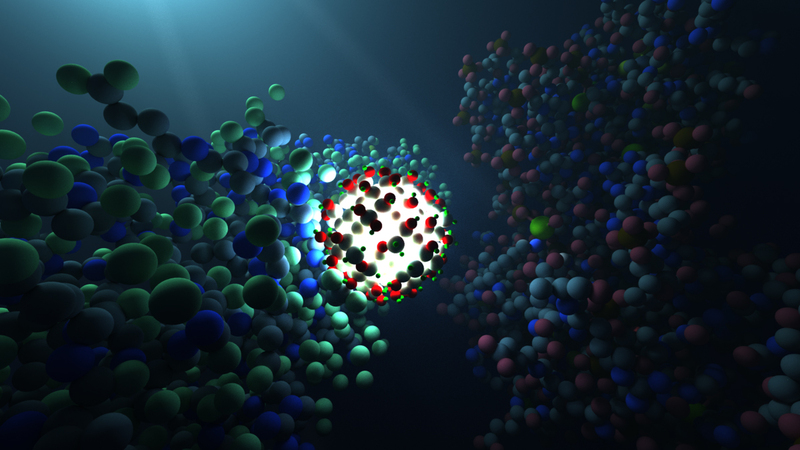 By using the LCLS, the researchers were able to capture atomic and electronic arrangements within the molecule that had lifetimes as short as 50 femtoseconds – which is about the amount of time it takes light to travel the width of a human hair. 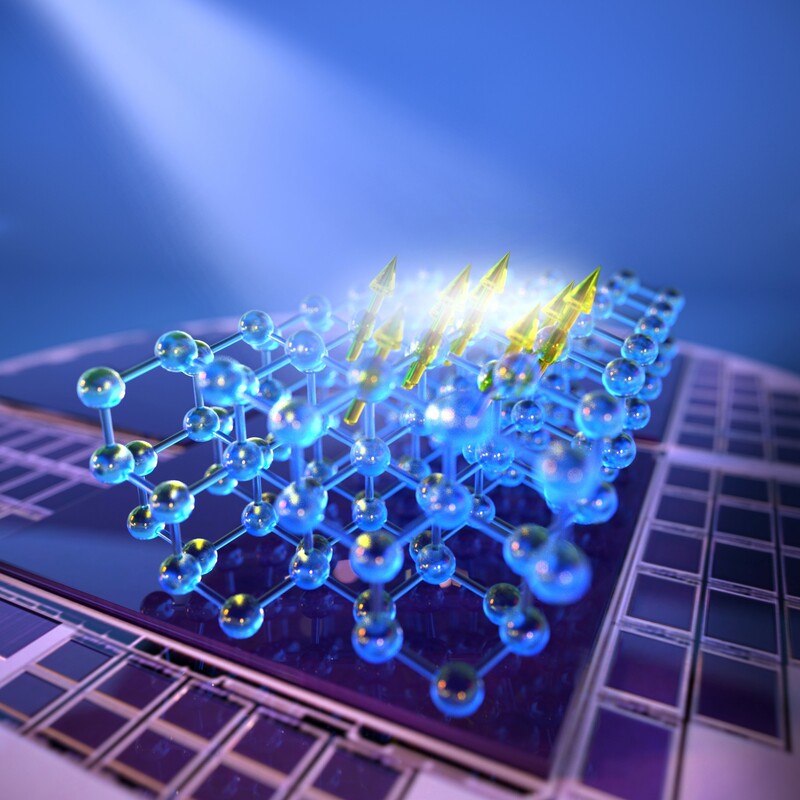 “We can see changes in these energized molecules which happen incredibly quickly,” said Lin Chen, an Argonne senior chemist and professor of chemistry at Northwestern University who led the research. Chen and her team looked the structure of a metalloporphyrin, a molecule similar to important building blocks for natural and artificial photosynthesis. Metalloporphyrins are of interest to scientists who seek to convert solar energy into fuel by splitting water to generate hydrogen or converting carbon dioxide into sugars or other types of fuels. Specifically, the research team examined how the metalloporphyrin changes after it is excited with a laser. They discovered an extremely short-lived “transient state” that lasted only a few hundred femtoseconds before the molecule relaxed into a lower energy state. “Although we had previously captured the molecular structure of a longer-lived state, the structure of this transient state eluded our detection because its lifetime was too short,” Chen said. When the laser pulse hits the molecule, an electron from the outer ring moves into the nickel metal center. This creates a charge imbalance, which in turn creates an instability within the whole molecule. In short order, another electron from the nickel migrates back to the outer ring, and the excited electron falls back into the lower open orbital to take its place. A paper based on the research, “Ultrafast excited state relaxation of a metalloporphyrin revealed by femtosecond X-ray absorption spectroscopy,” was published in the June 10 online edition of the Journal of the American Chemical Society. The research was funded by the DOE’s Office of Science and by the National Institute of Health. In a new study [Science] from the U.S. Department of Energy’s Argonne National Laboratory and the University of Illinois at Chicago, researchers were able to convert carbon dioxide into a usable energy source using sunlight. Their process is similar to how trees and other plants slowly capture carbon dioxide from the atmosphere, converting it to sugars that store energy. One of the chief challenges of sequestering carbon dioxide is that it is relatively chemically unreactive. “On its own, it is quite difficult to convert carbon dioxide into something else,” said Argonne chemist Larry Curtiss, an author of the study. To make carbon dioxide into something that could be a usable fuel, Curtiss and his colleagues needed to find a catalyst — a particular compound that could make carbon dioxide react more readily. When converting carbon dioxide from the atmosphere into a sugar, plants use an organic catalyst called an enzyme; the researchers used a metal compound called tungsten diselenide, which they fashioned into nanosized flakes to maximize the surface area and to expose its reactive edges. While plants use their catalysts to make sugar, the Argonne researchers used theirs to convert carbon dioxide to carbon monoxide. Although carbon monoxide is also a greenhouse gas, it is much more reactive than carbon dioxide and scientists already have ways of converting carbon monoxide into usable fuel, such as methanol. “Making fuel from carbon monoxide means travelling ‘downhill’ energetically, while trying to create it directly from carbon dioxide means needing to go ‘uphill,'” said Argonne physicist Peter Zapol, another author of the study. Although the reaction to transform carbon dioxide into carbon monoxide is different from anything found in nature, it requires the same basic inputs as photosynthesis. “In photosynthesis, trees need energy from light, water and carbon dioxide in order to make their fuel; in our experiment, the ingredients are the same, but the product is different,” said Curtiss. 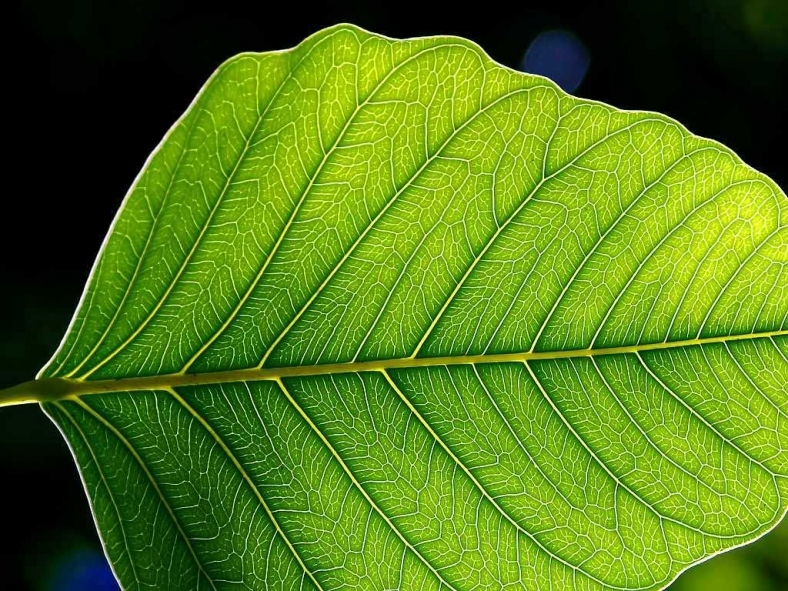 The setup for the reaction is sufficiently similar to nature that the research team was able to construct an “artificial leaf” that could complete the entire three-step reaction pathway. In the first step, incoming photons — packets of light — are converted to pairs of negatively-charged electrons and corresponding positively charged “holes” that then separate from each other. In the second step, the holes react with water molecules, creating protons and oxygen molecules. Finally, the protons, electrons and carbon dioxide all react together to create carbon monoxide and water. “We burn so many different kinds of hydrocarbons — like coal, oil or gasoline — that finding an economical way to make chemical fuels more reusable with the help of sunlight might have a big impact,” Zapol said. Towards this goal, the study also showed that the reaction occurs with minimal lost energy — the reaction is very efficient. “The less efficient a reaction is, the higher the energy cost to recycle carbon dioxide, so having an efficient reaction is crucial,” Zapol said. According to Curtiss, the tungsten diselenide catalyst is also quite durable, lasting for more than 100 hours — a high bar for catalysts to meet.